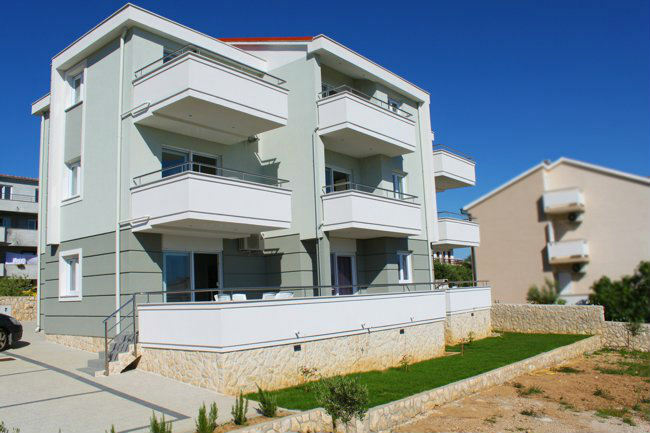 we present to you our new house where you can find accommodation in one of the 8 newly built apartments. All apartments are fully furnished and have a terrace overlooking the garden and the sea. We offer 8 apartments for 2-6 persons. All apartments are equipped with air conditioning, modern furnished with LED tv / sat, wi-fi, and each apartment has its own parking place. Be our guests and spend a pleasant holiday in.